After spending the weekend in Bangor, Maine it was time to head for Nova Scotia, Canada. Going north on I 95, we entered Canada from the Border Crossing at Houlton, Maine . Right before the border crossing, Houlton has a rest area and which was a good place to get our passports out. After coming into Canada, I 95 becomes Canada 2 and we went east across New Brunswick until hitting a very nice Nova Scotia Welcome Center. 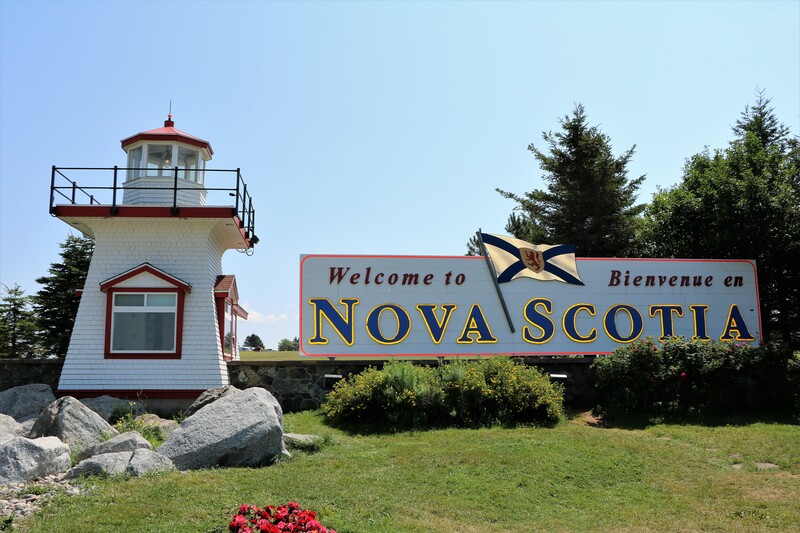 Nova Scotia translates as New Scotland and a man wearing a kilt was playing the bag pipes at the entrance. There was lots of tourism information inside including exhibits about the area. From there we should have gotten on Canada 104 to take us to the RV park we were staying at. 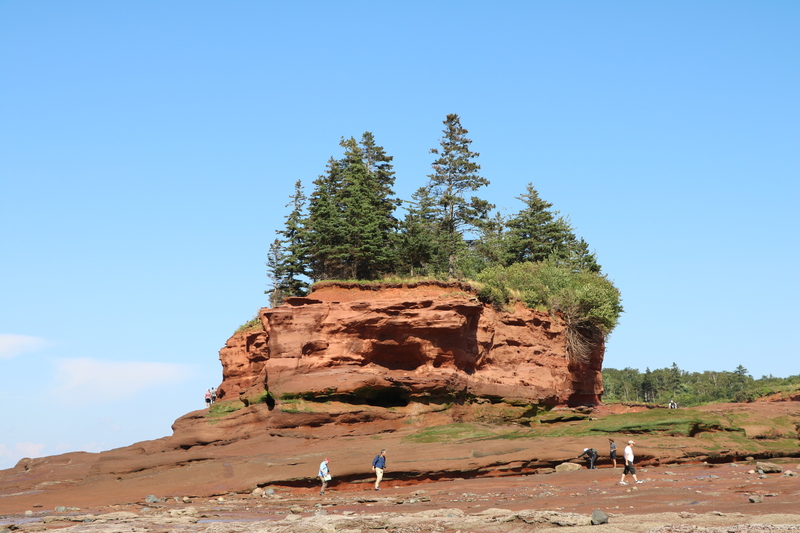 For some reason, the GPS took us on Highway 2, which traveled along the Bay of Fundy. It took us through multiple little towns and past beautiful farms. While it probably added another hour and a half to our travels, we got to see the bay at low tide. We finally arrived at Scotia Pine Campground which is near the town of Truro. To be fair, we had a rough time putting it in our GPS; the address wasn’t recognized – the website says it’s in the town of Hilden while other places it says it’s in Brookfield – and we finally found the campground under “Points of Interest” in the Garmen. Once there, we ended up putting the address of a nearby Esso gas station in the GPS of the jeep so we could find our way back when we ventured out. 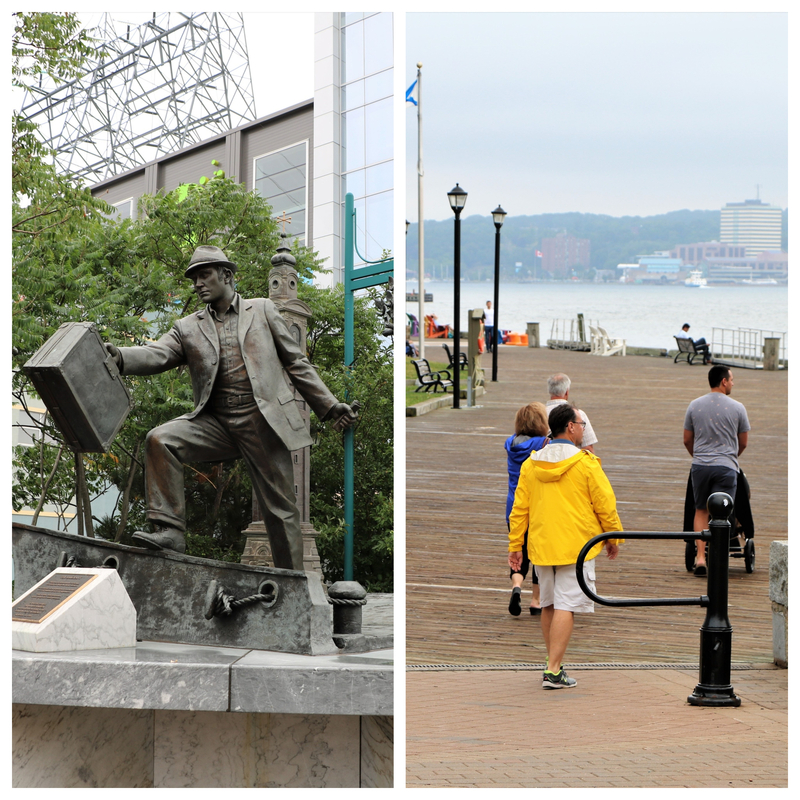 We began our sight seeing with the city of Halifax which was 45 minutes south of the campground. 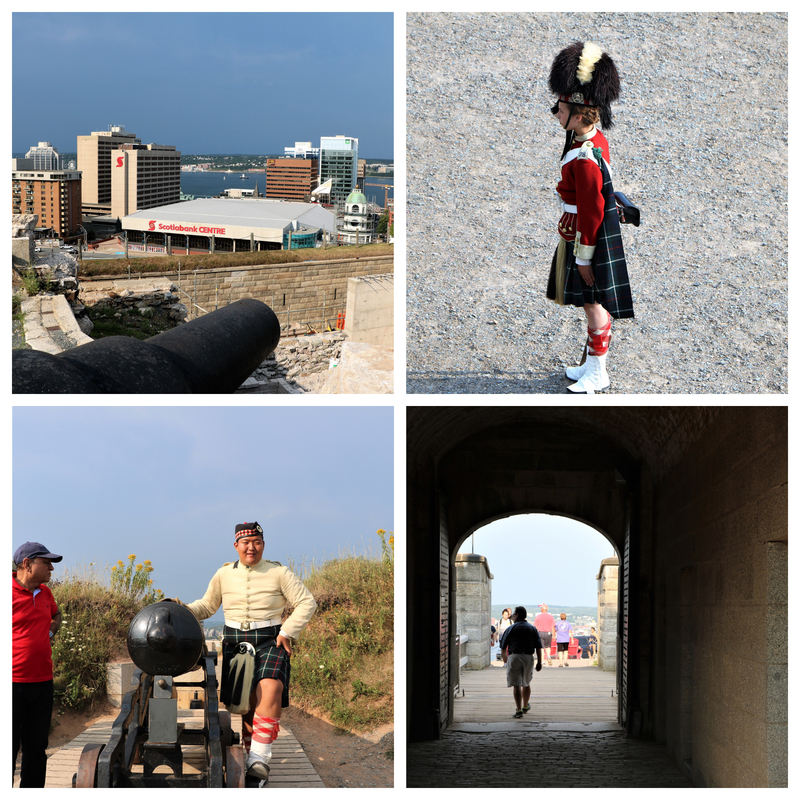 As we drove to into the older, touristy area, we immediately saw the Halifax Citadel . We found a place to park on a side street and climbed up the hill to the entrance. It was a great place to start. The Visitor’s Center had a short movie that explained the history of the city. We took advantage of a guided tour which was led by the knowledgeable fellow in the kilt shown in the photo on the left above. From the high ground of the Citadel, we walked down the incline that slopes all the way down to the waterfront. 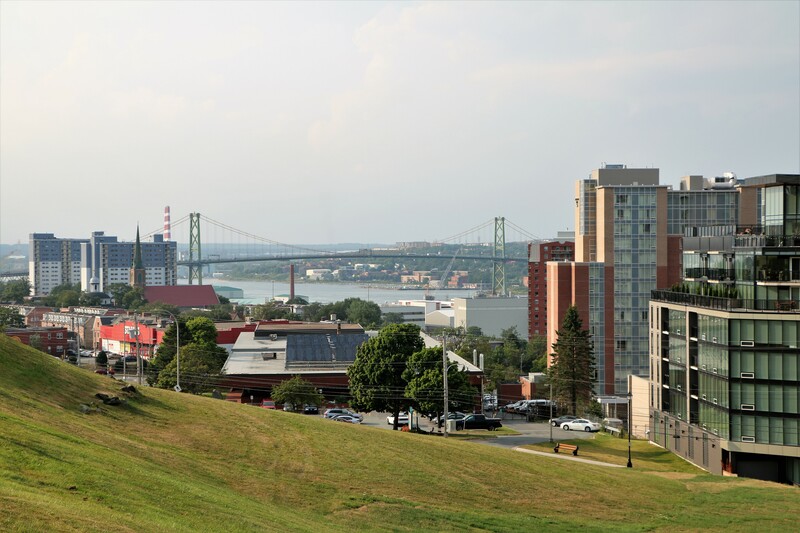 An information sign said that this view of the bridge in the photo above was where the 1917 Halifax Explosion occurred. It was the largest man made explosion up to the atomic bomb and happened when a Norwegian and French ship collided. The French ship had a haul full of ammunition bound to supply France’s World War I effort. 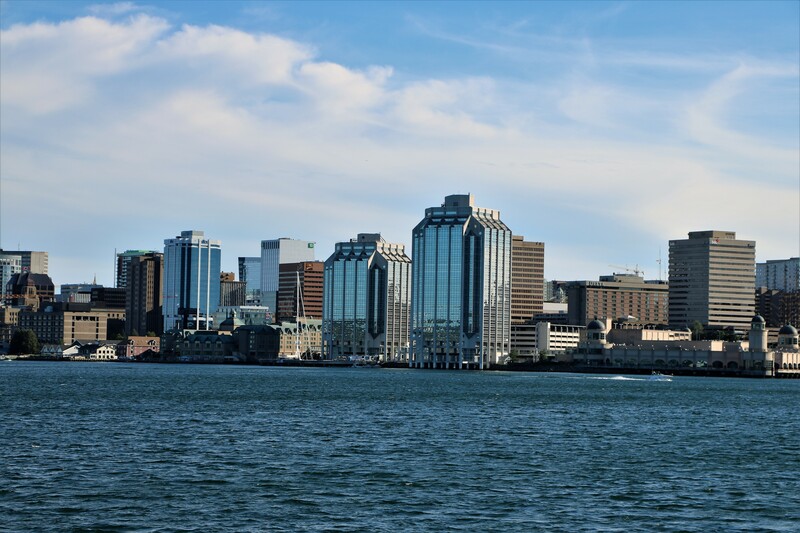 It was a huge tragedy which left thousands dead and wounded and leveled a whole area of Halifax. 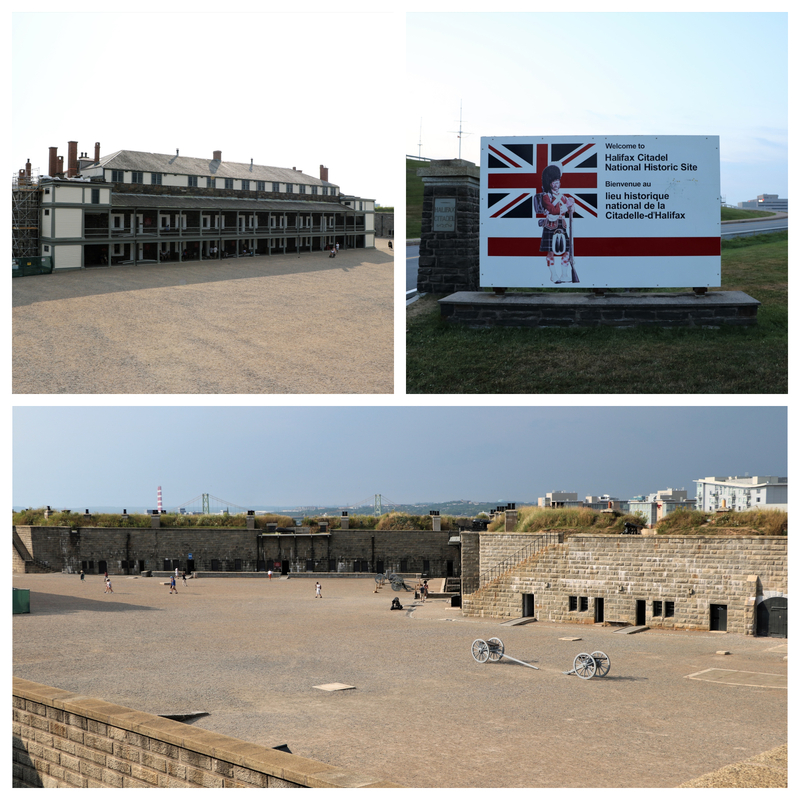 Halifax was settled in 1749 by an effort initiated by the British military. 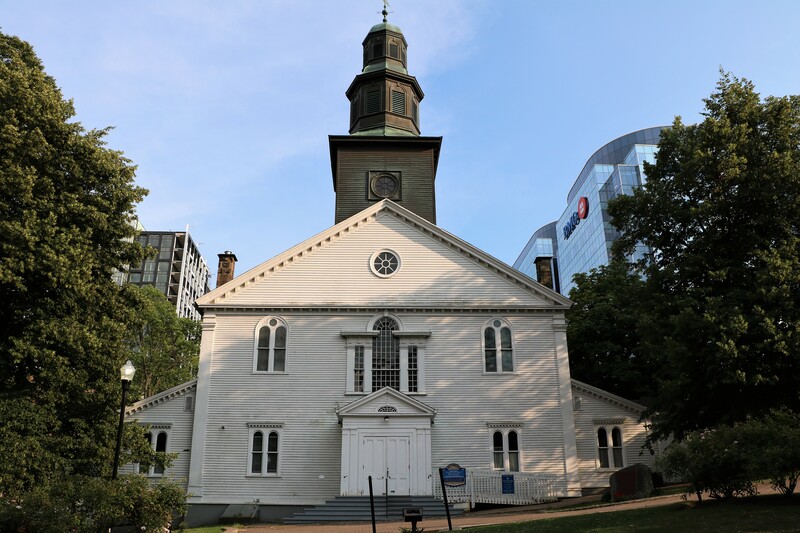 Besides the first version of the Citadel, St. Paul’s Church was immediately built. 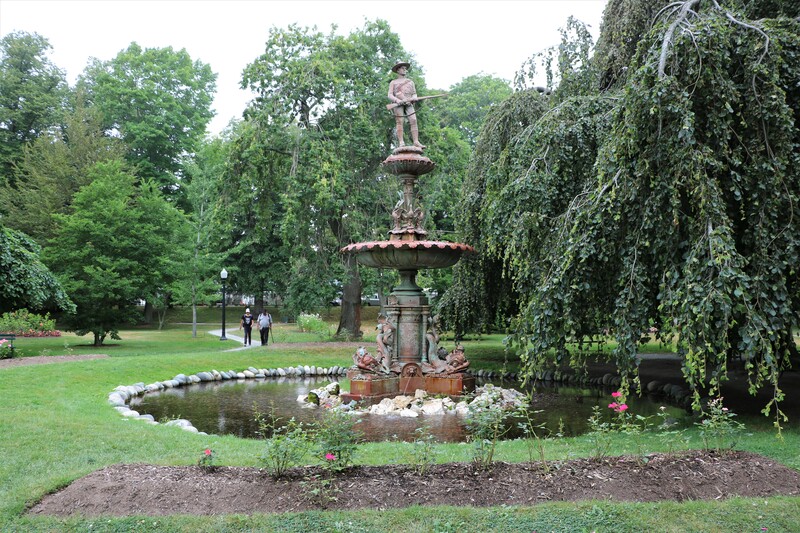 It sits on the south end of a public square called the Grand Parade. 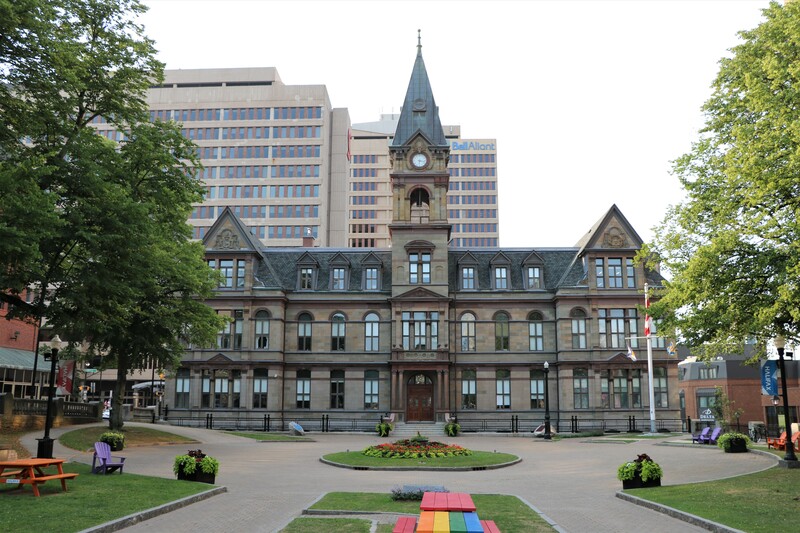 Right across from the length of the square is the Halifax City Hall . 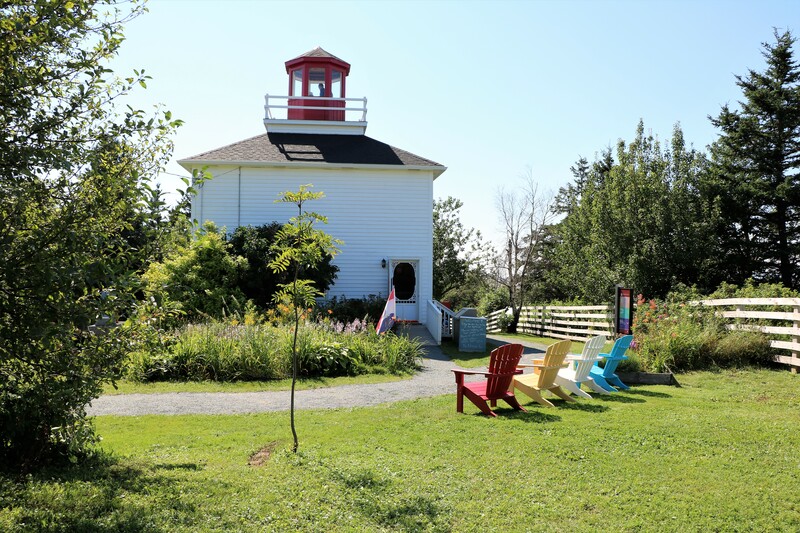 The original plans called for a city hall to be there, but instead the first building of Dalhousie University was built in the spot. By 1888, the area was considered to be in disrepair and city planners razed the university building and erected the city hall. 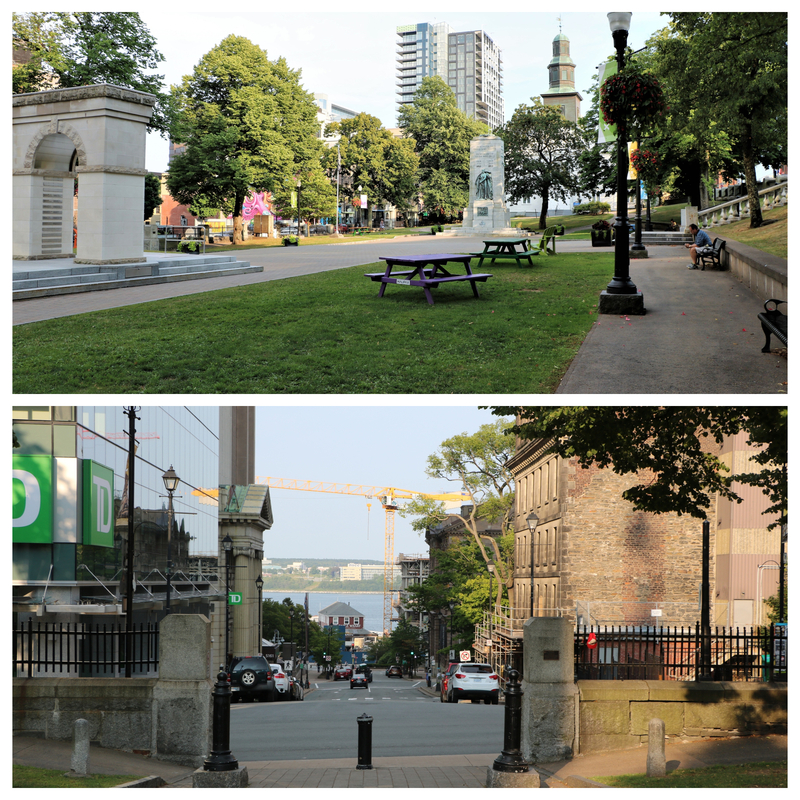 In 1995, Halifax spruced up the whole Grand Parade area for a G7 Summit that was held in the city. The east side of the square looks down George Street and the waterfront area. Back in the 1800s, Roy’s paternal ancestors had a shoe making business at 22 George Street so we had a special interest in the area. 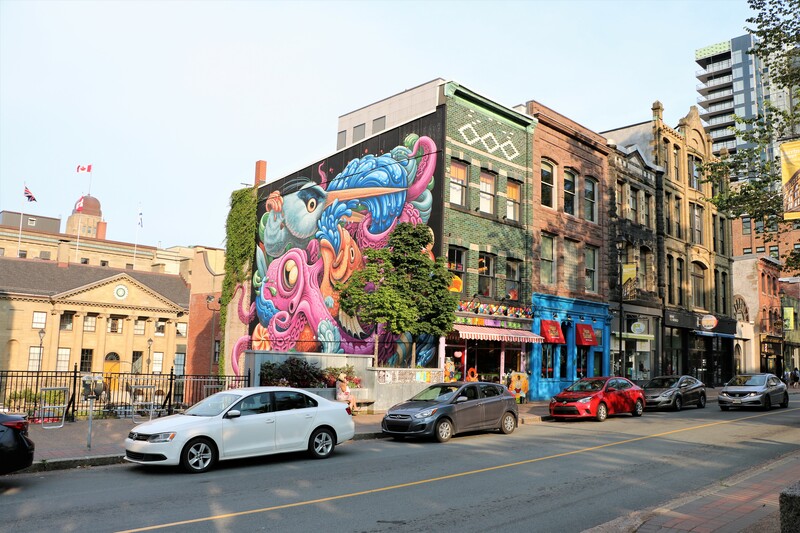 This is Barrington Street, which intersects George Street. George Street ends at the Ferry Terminal. 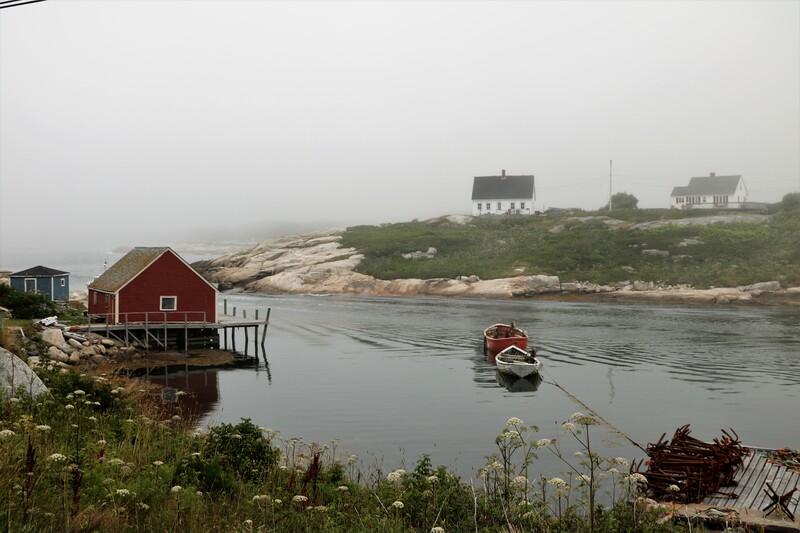 We hopped on the Ferry from Halifax to Dartmouth and back again – just for the boat ride. Above is a view of Halifax on our return trip. 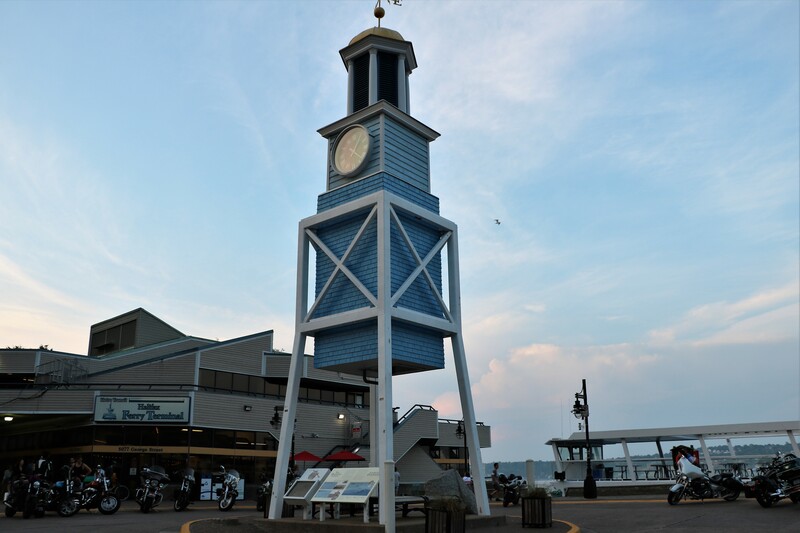 The Waterfront Walkway is a nice stroll that runs north and south of George Street. The statue in the photo above was called “The Immigrant”. 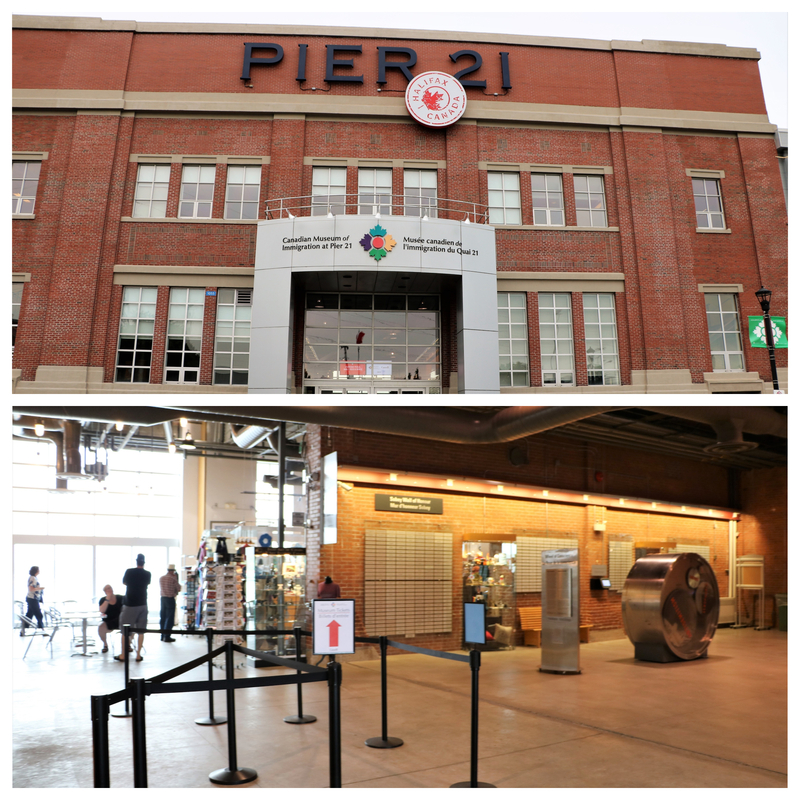 At the south end of the walk way is Canadian Museum of Immigration at Pier 21 . 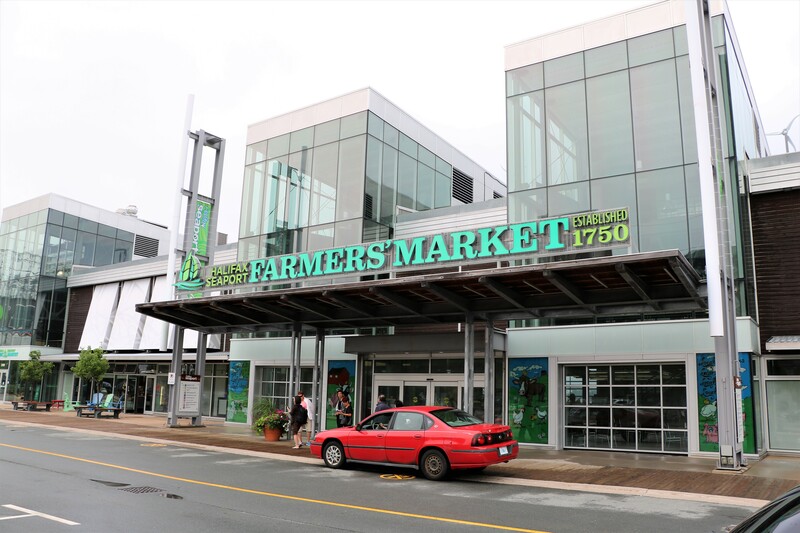 The Halifax Seaport Farmers Market is right by the Immigration Museum. 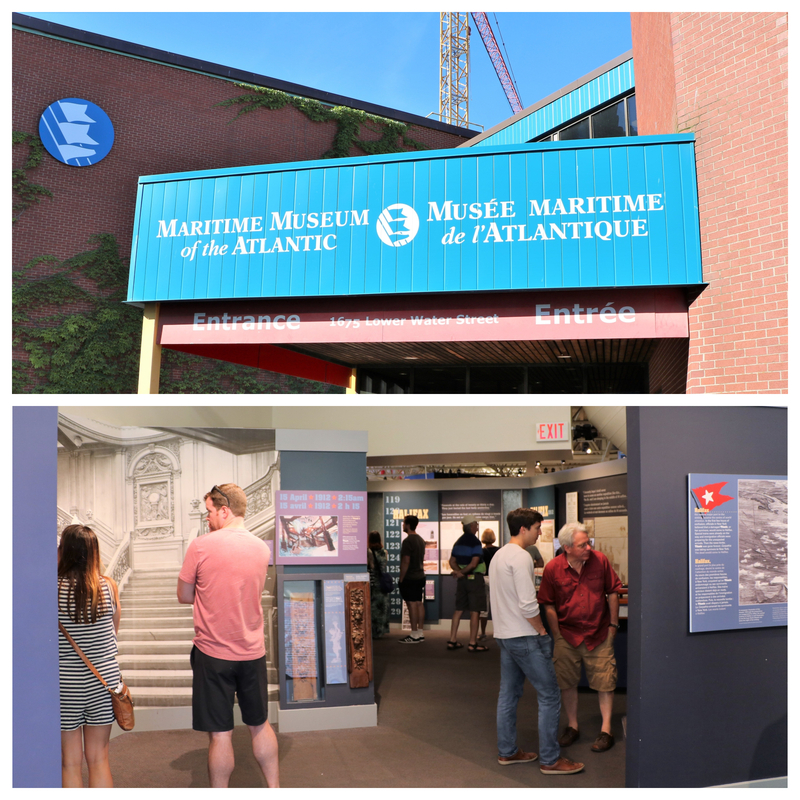 On the south end of the waterfront is Maritime Museum of the Atlantic . We arrived about an hour before it closed so we only had time to see their exhibit on the 1917 explosion and the Titanic. Halifax was the closest port to where the ship hit the iceberg. Frankly, I was disappointed in the museum’s Titanic exhibit; they had very few artifacts and the area devoted to it was very small. 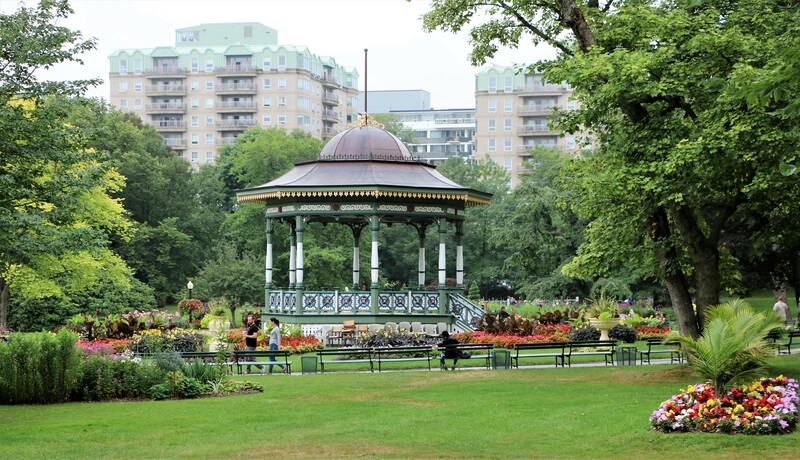 The Halifax Public Gardens are very close to the Citadel. 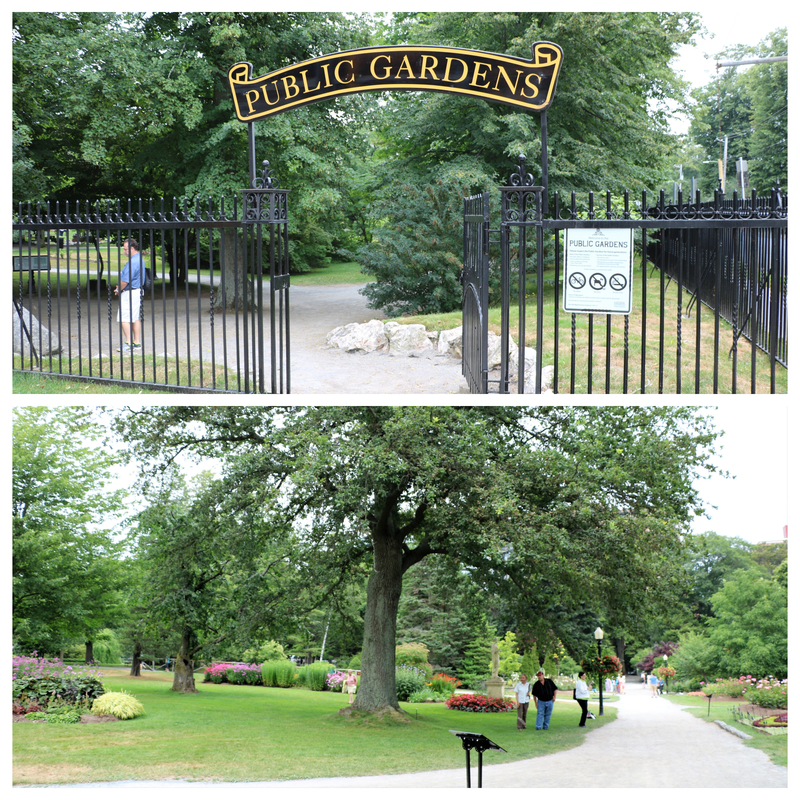 We were impressed by how well kept the gardens were. The pathways were charming and it was totally free. There were even restrooms open to the public at one end of the park. We took a day trip to couple villages outside the city. 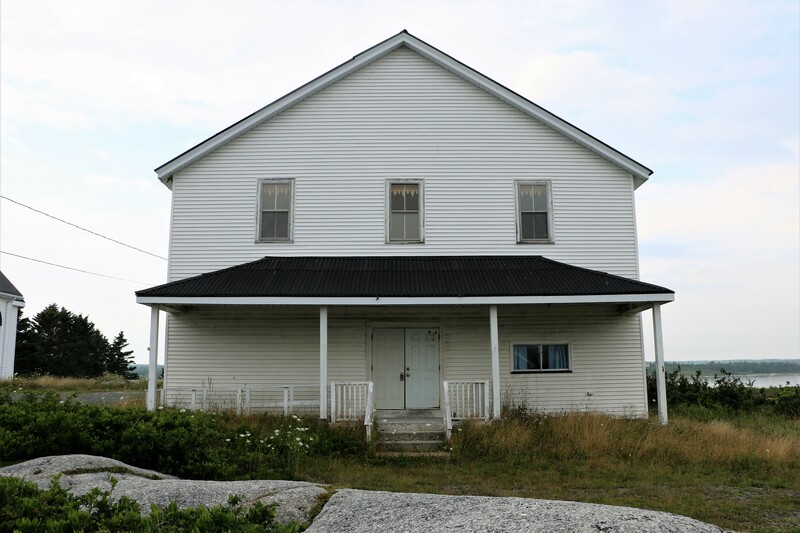 Prospect shown in the photo above was where Roy’s grandmother, Hilda, was born and lived until she moved to Halifax with an older sister. There she met Roy’s Grandfather, Billy, while she was working in a movie theater. In 1925, they settled in Detroit, Michigan. It must have been quite a change. 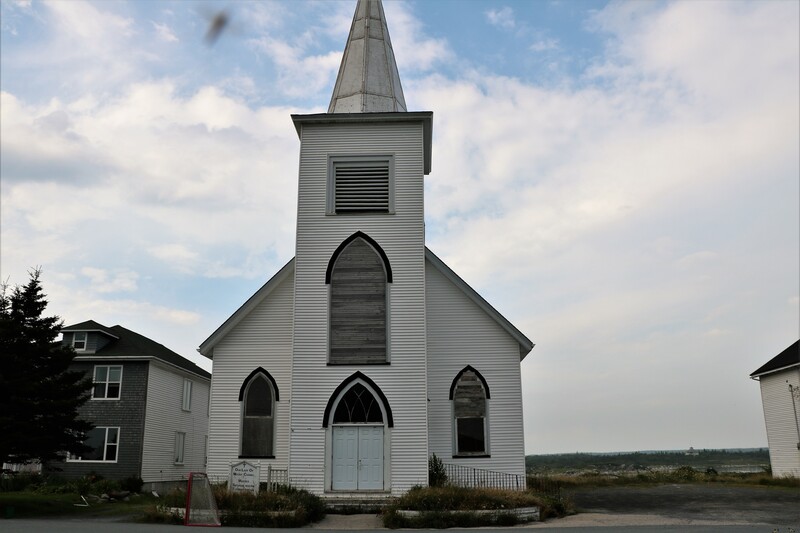 Little Hilda attended this school which was right next to the church in the photo below. The village was actually just one street that ran along side the shore. The house where Hilda grew up in was maybe torn down or painted a different color, but it was interesting to see what kind of life she must have led. 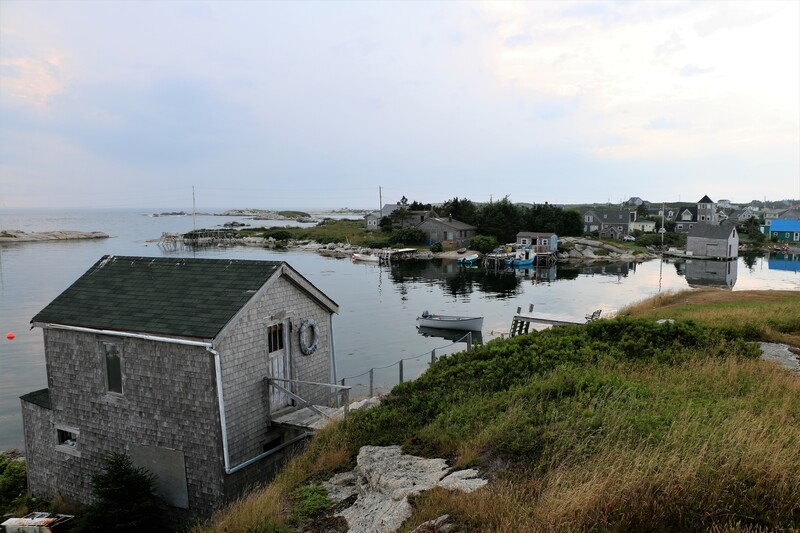 Very close by was Peggy’s Cove Village and Light House . 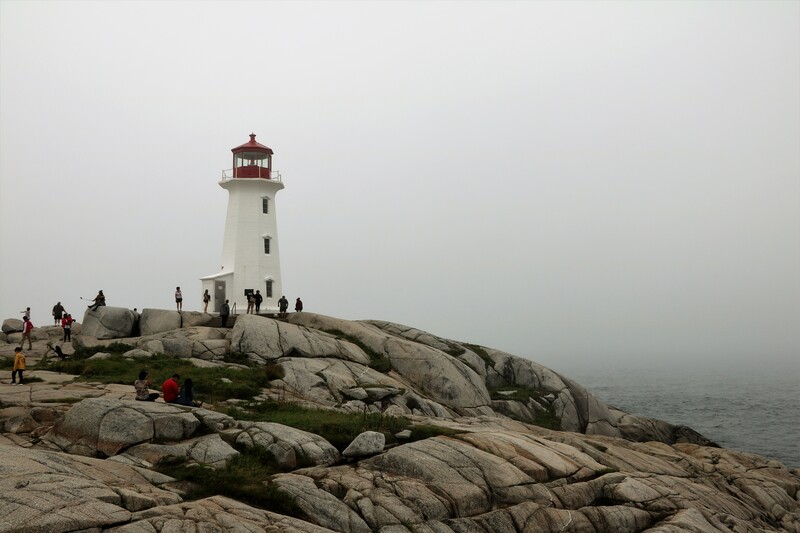 The light house is on a lot of “must see” lists and we counted at least six buses tourist buses. There are lots of arty little shops along the road down leading to the shore. The day we were there it was rainy and overcast but the charm shone through! 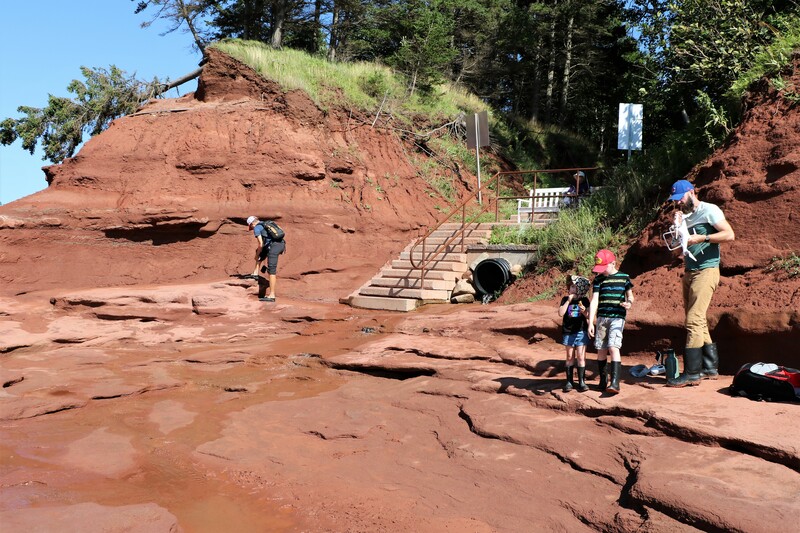 The campground we were staying at was just minutes away the very southeastern part of the Bay of Fundy which boasts some of the very highest tides in the world. We took a gorgeous drive to the little town of Noel to see low tide at the Burntcoat Head Park . They have a small Visitors Center, above, where you can climb all the way up to the tower on top and look out. But the real star of the show is the exposed ocean floor. At high tide, the steps above are completely covered by water. Three hours before the tide is at its highest, they ask that everyone ascends the steps and is clear of the ocean floor. We got to the area three hours before the tide would be at its lowest. The surface is muddy! Above is what is called a “flower pot”. The tides wear away a little island by the shore. 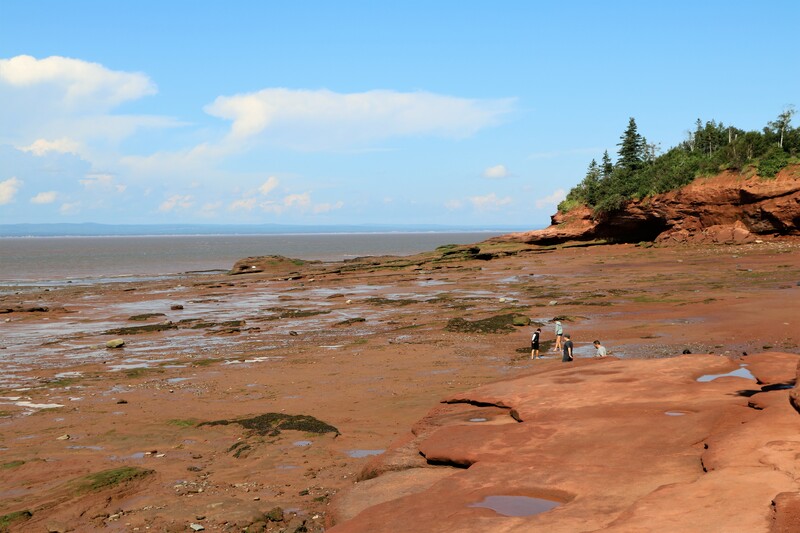 The next day we experienced the tide coming in at the Fundy Tidal Interpretive Center in South Maitland. The center is on the Shubenacadie River. As the tide comes in, it is going the opposite direction of the river. 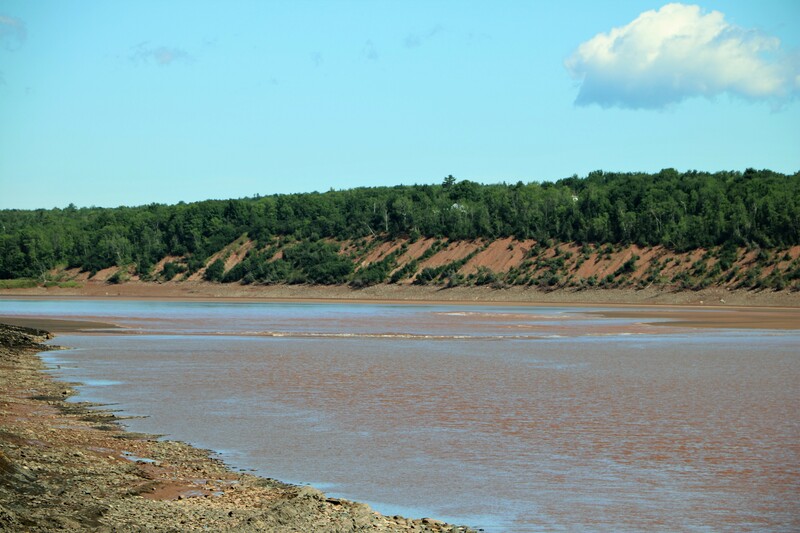 It creates a phenomena called the tidal bore. It actually sounds a lot more exciting than the six inch or so wave it produces but it was interesting to see the water slowly rise up. 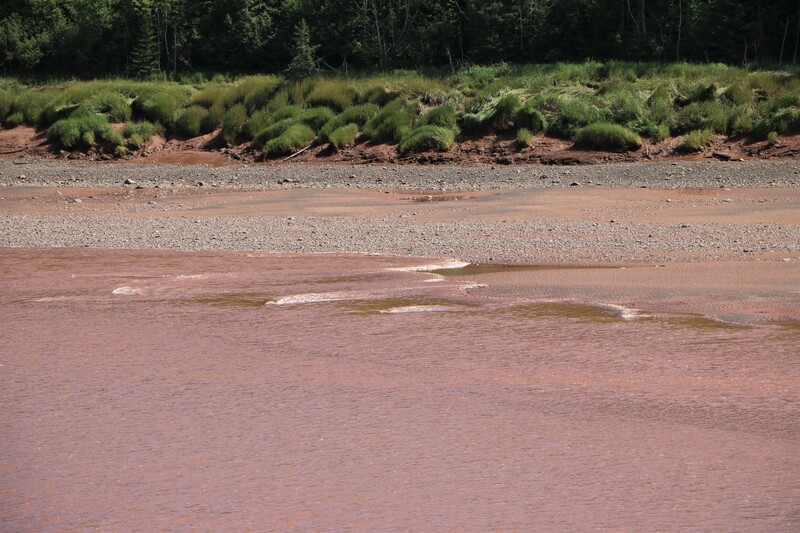 The muddy red clay of the Bay of Fundy made the water in the river look like watery chocolate milk. 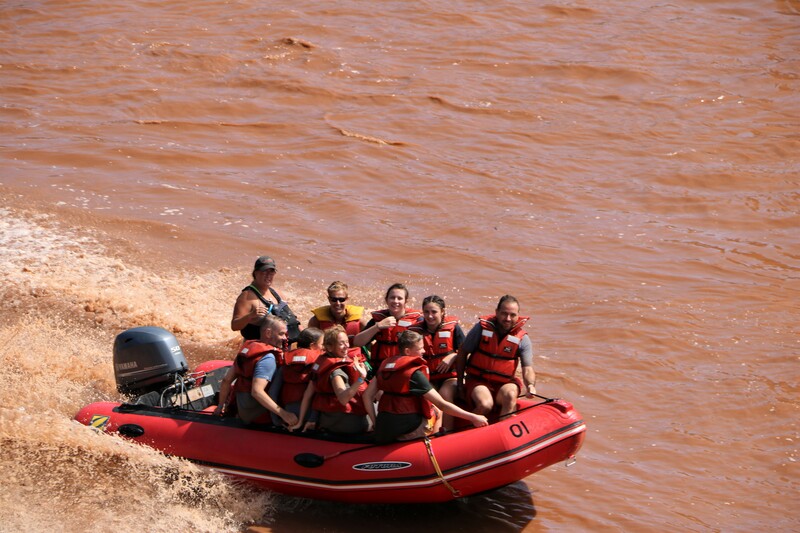 Rafting down the river as the tide comes in is a big activity. Notice the motor on the back of the raft. 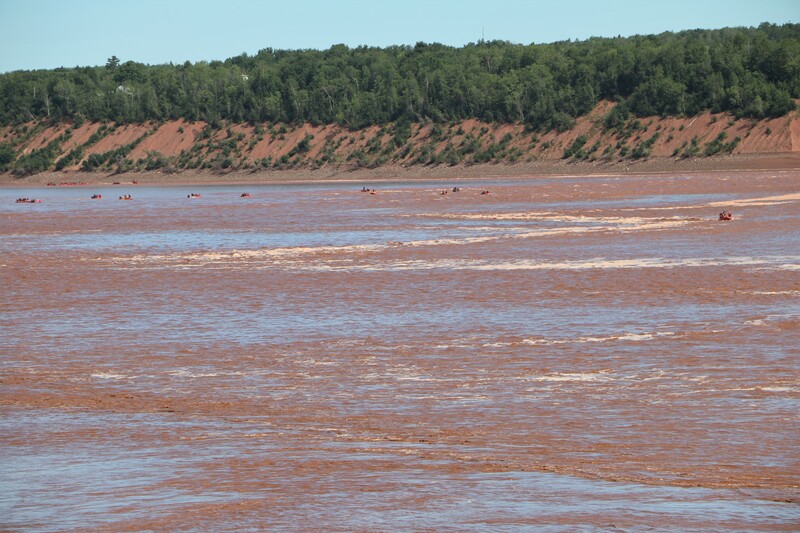 I think it created bigger waves than the tidal bore! 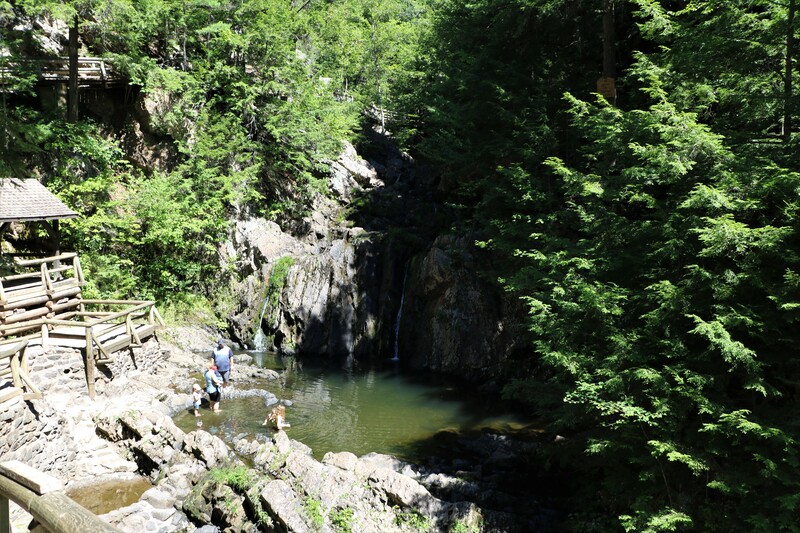 In the town of Truro, Victoria Park is a great place for taking some easy hikes. 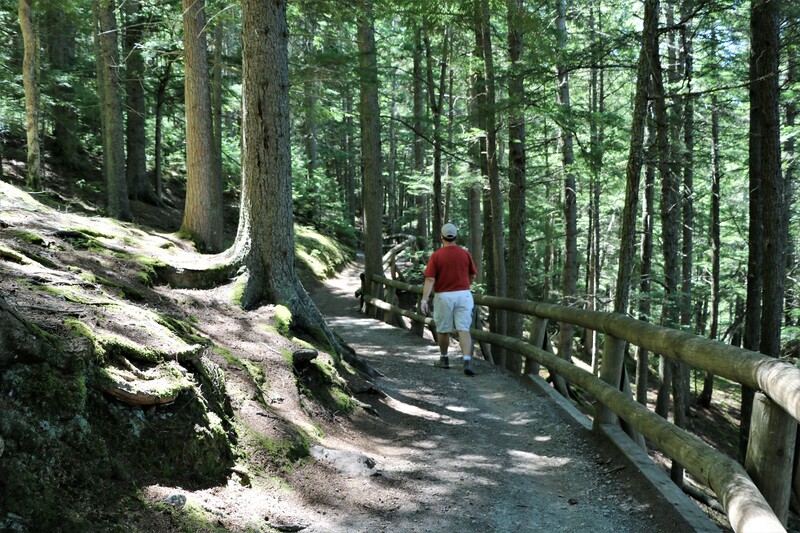 Some of the trails do have climbing, but it’s up wooden boardwalk steps. We saw little waterfalls and some lovely scenery.